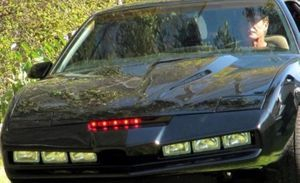 The Hoffs Kitt with LED scanner and 4th season nose! Below is the new Unit by Sid. New LED Scanner's looks just like halogen bulbs. The old units are disscontinued for the more accurate version below. ©2018 knightridershop.com-This site claims no official association with KNIGHT RIDER©Universal.